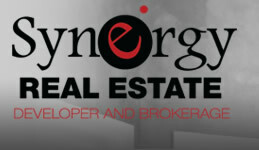 Synergy Real Estate recognizes that Real Estate is a significant financial asset. The decision in selecting the right Brokerage firm is very important. We are comprised of a team of experienced and talented professionals only who have met a long list of prerequisites. We have the expertise to guide you through all phases of the transaction from beginning and beyond. This is a distinguishing attribute compared to larger firms who may rely on quantity versus quality. Click on the logo below to view the latest trends.